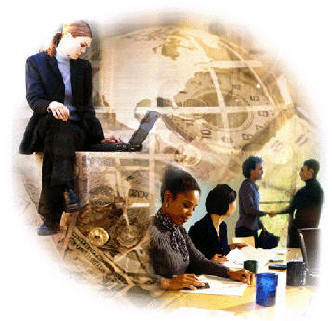 Knowledge is recognized as a key economic resource, and obviously, organizations must possess the right knowledge in the desired form and context under all circumstances in order to successful.specifically, knowledge sharing and resultant knowledge creation are critical in order for organizations to gain competitiveness and to remain competitive. Knowledge is considered important for sustaining competitive advantage. The continuous progression of civilization is a testimony to its ability to develop, learn, and share knowledge. recent advances in information an communication technologies have made it easy to develop,store,and transfer knowledge.globalizaton,increasing international competition, and a free market philosophy are driving forces for these advances in technology, and many organizations have realized that the creation,transfer,and management of knowledge are critical for success today. The increasing gap between the book value and the market value of some business entities indicates the increasing importance of knowledge- based intangible assets (Marr, 2003) and knowledge management. however, the dimension of knowledge management has not received adequate attention(Holsapple&joshi1999).Also, the knowledge management concept is still understood as information management and is associated with technological solutions, such as intranet and database(Marr,2003). Several organizations are attempting to use knowledge management to improve organizational performance, but commonly accepted knowledge management principles are yet to be developed.Knowledege managements lack of focus (Fairchild,2002) and absence of commonly accepted knowledge principles (Stankosky & Baldanza,2001) are some of the gaps in this discipline. Knowledge is derived from thinking and is a combination of information, experience, and insight. It should be understood that the primary focus of knowledge management is to utilize information technology and tools, business proesses,best practices and culture to develop and share knowledge within an organization and to connect those who possess knowledge to those who need the knowledge. Ultimately leveraging relevant knowledge assets to improve organizational performance is what knowledge management is all about. There is a growing recognition in the business community about the importance of knowledge as a critical resource for organizations. Traditionally this resource has not been treated with the degree of systematic, deliberate, or explicit effort devoted to managing human, material, and financial resources. But in the coming years, the firm that leaves knowledge to its own devices may be putting itself in severe jeopardy. more and more practitioners and researchers believe that knowledge resources matter more than the conventionally tended resources(material,labor,capital) and must be managed explicitly, not left to fend for itself (Holsapple & joshi,2000). Knowledge management can be defined as a method to simplify and improve the process of sharing, distribution, creating, capturing and understanding knowledge in a company. Knowledge management is description, organization, sharing and development of knowledge in a firm. Knowledge management is managing knowledge-intensive activities in a company. Knowledge management refers to identifying and leveraging the collective knowledge in a company to help the company compete. Knowledge management is a method for achieving corporate goals by collecting, creating and synthesizing and sharing information, insights, reflections, thoughts and experiences. Knowledge management is a discipline focused on systematic and innovative methods, practices, and tools for managing the generation, acquisition, exchange, protection, distribution, and utilization of knowledge, intellectual capital and intangible assets (Montana, 2000). The purpose of knowledge management is to help companies create, share and use knowledge more effectively. Effective knowledge management causes fewer errors, less work, more independence in time and space for knowledge workers, fewer questions, and better decisions, less reinventing of wheels, improved customer relations, improved service and improved profitability. Knowledge management is purported to increase both innovation and responsiveness. the recent interest in organizational knowledge has prompted the issue of managing knowledge to the organizations benefit (Alavi & Leidner,2001). System created to facilitate the capture, storage, retrieval, and reuse of knowledge. While many organizations have implemented knowledge management initiatives, it remains unclear the extent to which they are successful in delivering the anticipated out-comes, and why. Research studies show that it is difficult to assess return on investment of knowledge management. Improving organizational performance by using a knowledge management initiative is an investment decision, and we, therefore, must have an understanding of its outcomes. Discussing approaches to building knowledge management system, Jennex and Olfman, (2004) contended that the measurement of a knowledge management system is crucial to understanding how these systems should be develop and implemented. They cite several reasons for measuring success of a knowledge management system, including three from Turban and Aronson (2001): to provide a basis for valuation, to stimulate managements focus on what is important, and to justify investments. However, inherent intangible characteristics of knowledge assets make them difficult to measure (Ahn & Chang, 2002). Unlike materials or equipment, the core competencies and distinctive abilities of employees are not listed on balance sheets (Austin & Larkey, 2002).As a result, factors that contribute substantially to a firms success elude traditional means of quantification, thereby presenting significant challenges to knowledge management performance measurement. Bassi and Van Buren (1999) suggest that the lack of understanding of how to measure and evaluate impacts of intellectual capital is a major obstacle to turning investments toward promoting intellectual capital into a source of competitive advantage. Similarly, Ernst & Young’s center for business innovation survey identified measuring the value and performance of knowledge assets as the second most important challenge faced by companies behind the challenge of changing people’s behaviours (Van Buren, 1999). Instead of trying to measure knowledge directly, which may not be possible, a different approach is to measure its contribution to business performance, which still is considered a major research agenda (Ahn & Chang, 2002). Major consulting organizations agree that measuring knowledge management effectiveness and contributions is a key concern for consulting organizations (Wikramasinghe, 2002). Earl (2001) develops taxonomy for knowledge management that he labelled schools of knowledge management. Each school was proposed as an ideal type. No claims were made that any one school outperforms others. Each represents a particular orientation or perspective. The schools are not mutually exclusive. Earls (2001) taxonomy is applied to classify a number of approaches to knowledge management. This classification of approaches is based on an overall match to each ideal type in terms of school of knowledge management. Three relevant schools are labelled the economic school, the organizational school and the strategic school. The economic school has a focus of income, in which the aim is to exploit knowledge assets. The organizational school has a focus of networks, in which the aim is knowledge pooling. The strategic school has a focus of competitive advantage, in which the aim is to identify, exploit and explore knowledge capabilities. According to Earl (2001), the economic school is explicitly concerned with both protecting and exploiting a firms knowledge or intellectual assets to produce revenue streams (or rent).it is concerned with managing knowledge as an assets, in which knowledge or intellectual assets include patents, trademarks, copyrights and know-how. Intellectual property could be another means of describing the object being managed. The school is more concerned with exploitation of knowledge and less concerned with exploration. One critical success factor in this school appears to be the development of a specialist team or function to aggressively manage knowledge property through intellectual capital accounting, intellectual capital management and creation of effective and efficient knowledge marketplaces. Otherwise it is too easily forgotten. According to Roslender and Fincham (2001), intellectual capital is currently the focus of significant discussion and enquiry across the management discipline and beyond. This reflects the recognition that intellectual capital provides a crucial source of value for the contemporary business enterprise, it is a resource that requires careful management if it is to fulfil its maximum potential. More independence in time and space for knowledge workers. Organizational learning has been defined as a quantifiable improvement in activities, increased available knowledge for decision making, or sustainable competitive advantage (Cavaleri, 1994; Dodgson, 1993; Easterby-Smith, 1997; Miller, 1996). Malhotra (1998) defines organizational learning as the process of detection and correction of errors. In this view, organizations must learn through individuals acting as agents for them. Individuals learning activities are seen as being facilitated or inhibited by an ecological system of factors that may be called an organizational learning system. Learning in this perspective is based on Kolbs (1984) model of experiential learning in which individuals learn by doing. Huber, Davenport, and King (1998) believe that an organization learns if, through its processing of information, its potential behaviours are changed. Huysman, Fischer, and Heng (1994) as well as Walsh and Ungson (1991) believe organizational learning has organizational memory as a component. In view of this, organizatioal learning is the process by which experience is used to modify current and future actions. Huber (1991) considers four constructs as integrally linked to organizational learning: knowledge acquisition, information distribution, information interpretation and organizational memory. In this case organizational memory is the repository of knowledge and information acquired by the organization. Organizational learning uses organizational Memory as its knowledge base. A different perspective on organizational learning from Sandoe et al. (1998) is that organizations do not learn; rather, only individuals learn. During work, people gain experience, observe, and reflect in making sense of what they are doing. As they analyze these experiences into general abstractions, their perceptions on how work should be done changes. As these individuals influence their co-workers, the “organization” learns, and the process gradually is changed. Learning in this perspective also is based on Kolbs (1984) model of experiential learning. Huber, Davenport, and King (1998) summarize organizational memory as the set of repositories of information and knowledge that the organization has acquired and retains. Organization memory is viewed as abstract or concrete. It is comprised of unstructured concepts and information that exist in the organizations culture and the minds of its members, and can be partially represented by concrete/physical memory aids such as databases. It also comprised of structured concepts and information that can be represented exactly by computerized records and files. Jennex (2005) defined knowledge management as the practice of selectively applying knowledge from previous experiences of decision making to current and future decision-making activities with the express purpose of improving the organizations effectiveness. Also, Jennex (2005) viewed a knowledge management system as that system created to facilitate the capture, storage, retrieval and reuse of knowledge. This perception of knowledge management and its systems are that they holistically combine organizational and technical solution to achieve the goals of knowledge retention and reuse in order ultimately to improve organizational and individual decisions making. This is a Churchman (1979) view of knowledge management that allows knowledge management systems to take whatever form necessary to accomplish these goals. It is important to note that none of these definitions of knowledge management is purely technical in nature. They all include information system support, but they also include organizational considerations, and all include an impact on organizational productivity and effectiveness. This is important, because many experts consider knowledge management to be a form of information system.however, while the information system component is important, in order for knowledge management to be effective as a change or transformation tool, it must include more; it requires management support and an organizational culture. A better understanding of knowledge management is obtained by incorporating the concepts of organizational memory and organizational learning.Jennex and Olfman (2002) found that the three areas are related and have an impact on organizational effectiveness. Organizational effectiveness is how well the organization does those activities critical to producing what the organization sells. Organizational learning is the process the organization uses to learn how to do these activities better. Organizational learning results when users utilize knowledge. That organizational learning may not always have a positive effect is examined by the monitoring of organizational effectiveness. Effectiveness can improve, get worse, or remain the same. How effectiveness changes influences the feedback provided to the organization using the knowledge. Knowledge management and organizational memory are the processes used to identify and capture critical knowledge. Knowledge workers and their organizations “do” knowledge management; they identify key knowledge artefacts for retention and establish processes for capturing it. Organizational memory is what information technology support organizations do; they provide the infrastructure and support for storing, searhing, and retrieving knowledge artefacts. Alavi, M., & Leider, D. E. (2001). Review: Knowledge management and knowledge management systems: Concept foundations and research issues. MIS Quarterly, 25(1), 107-136. Anantarmula, V. (20004). Criteria for measuring knowledge management efforts in organization. UMI Dissertation services (3123064): ProQuest. Austin, R., & Larkey, P. (2002). The future of performance measurement: Measuring knowledge work. In A. Neely (Ed.) Business Performance Management. Chourides, P., Longbottom, D., &Murphy, W (2003).Excellence in knowledge management: An empirical study to identify critical factors and performance measures. Measuring Business Excellence, 7(2), 29-45. Dodgson, M (1993). Disciplines of organisational learning: A review of some literatures. Organisation Studies, 14(3)375-394. Easterby- Smith, M. (1997). Disciplines of organisational learning: Contributions and critiques. Human Relations, 50(7)1085-1113. Huber, G. P. (1991). Organisational learning: The contributing processes and the literatures. Organisation Science, 2, 88-115. Jennex, M. E., Olfman, L. (2004). Accessing knowledge management success/effectiveness models. In proceedings of the 35th Hawaii international conference on system sciences.HICSS37, IEEE Computer Society, Hawaii. Jennex, M. E. (2005). What is KM? International Journal of Knowledge Management, 1(4), i-iv. Jennex, M.E. (2006). Establishing the foundation of the knowledge management discipline, International Journal of Knowledge Management, 2(3), I-IV. Jennex, M. E., & Croashell, D (2005). Knowledge Management: are we a discipline? International Journal of Knowledge Management, 1(1), pp. i-iv. Jennex, M.E., & Olfman, L.(2002) Organisational memory / knowledge effects on productivity , a longitudinal study In Proceedings of the 35th Hawaii International Conference on System Sciences. Malhotra, Y. (1998). Knowledge management for the new world of business. Retrieved October 4, 2006 www.brint .com/km/whatis htm. Ruggles, R. (1998). The state of notion: Knowledge management in Practice. California Management Review, 40(3), 80-89. Van Buren, M. (1999). A yard sticks for knowledge management. Training Development, Alexandria, 53(5), 71-77. Wiig K.M. (1993). Knowledge management foundations. Thinking about thinking – How people and organisation create, represent, and use knowledge. Arlington, TX: Schema Press.